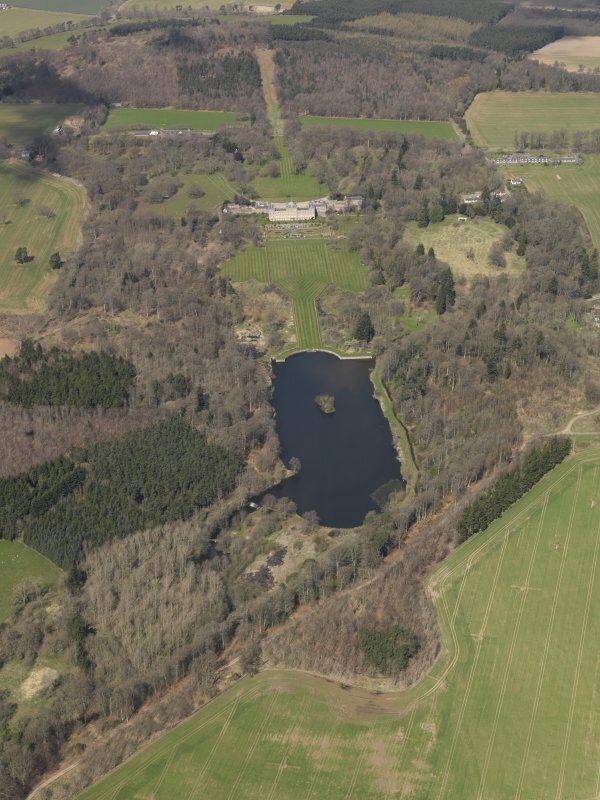 Oblique aerial view centred on the drained formal pond within Mellerstain House garden with country house and stables adjacent, taken from the ESE. 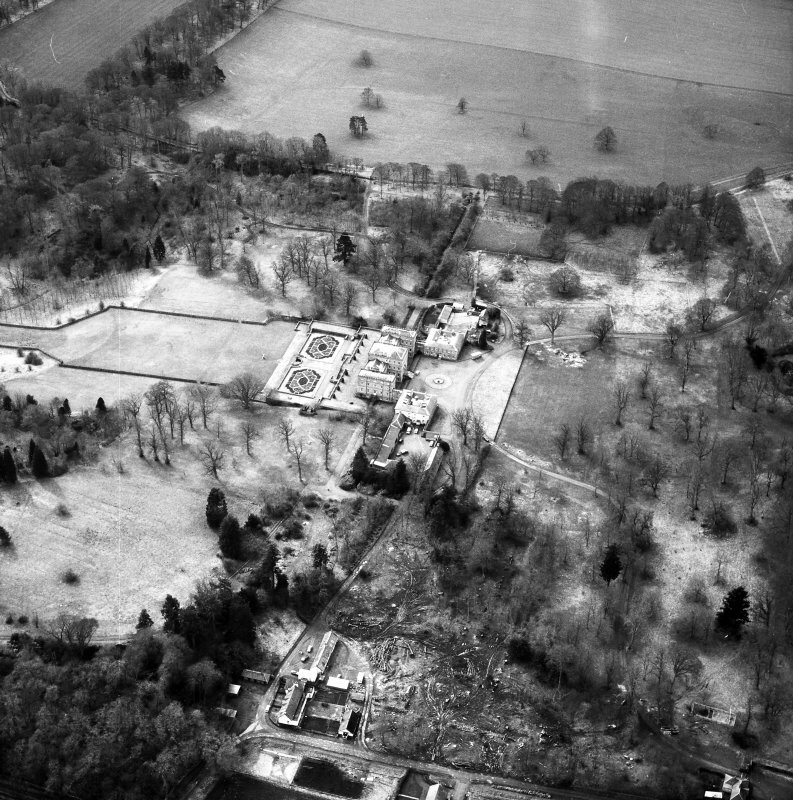 General oblique aerial view centred on the country house and policies, taken from the SE. 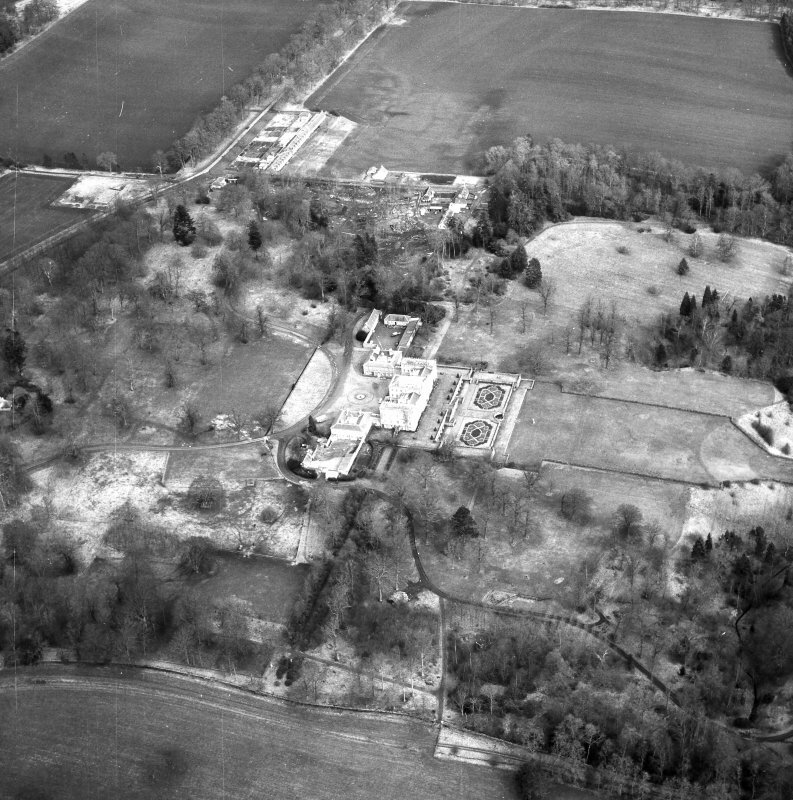 Oblique aerial view centred on the country house with the stable block adjacent, taken from the NE. Interior. 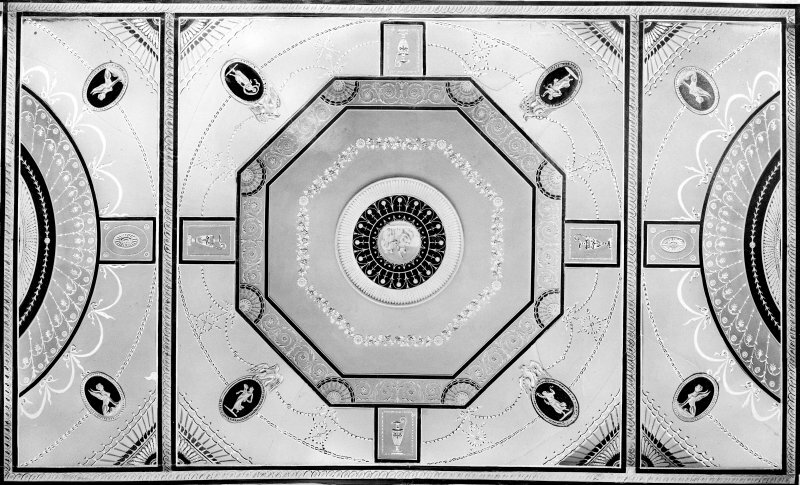 Dining room, detail of ceiling. 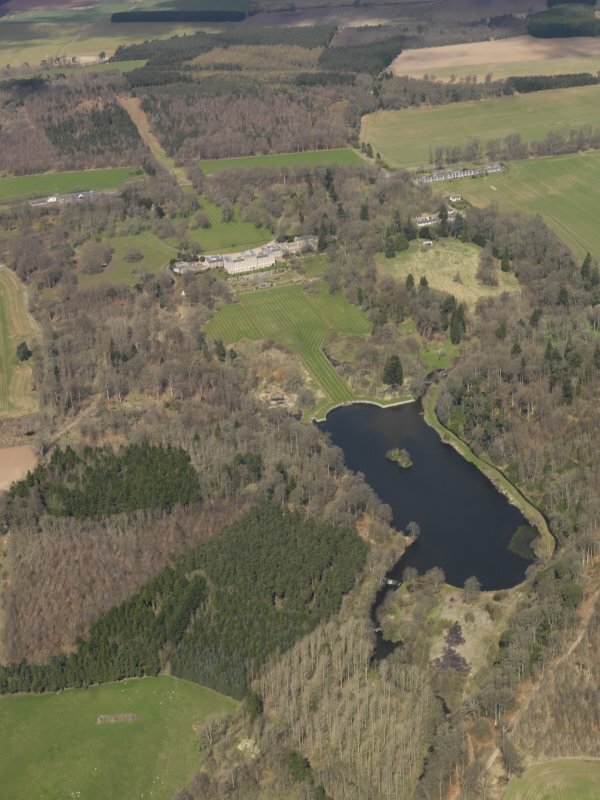 General oblique aerial view centred on the country house and policies, taken from the SSE. 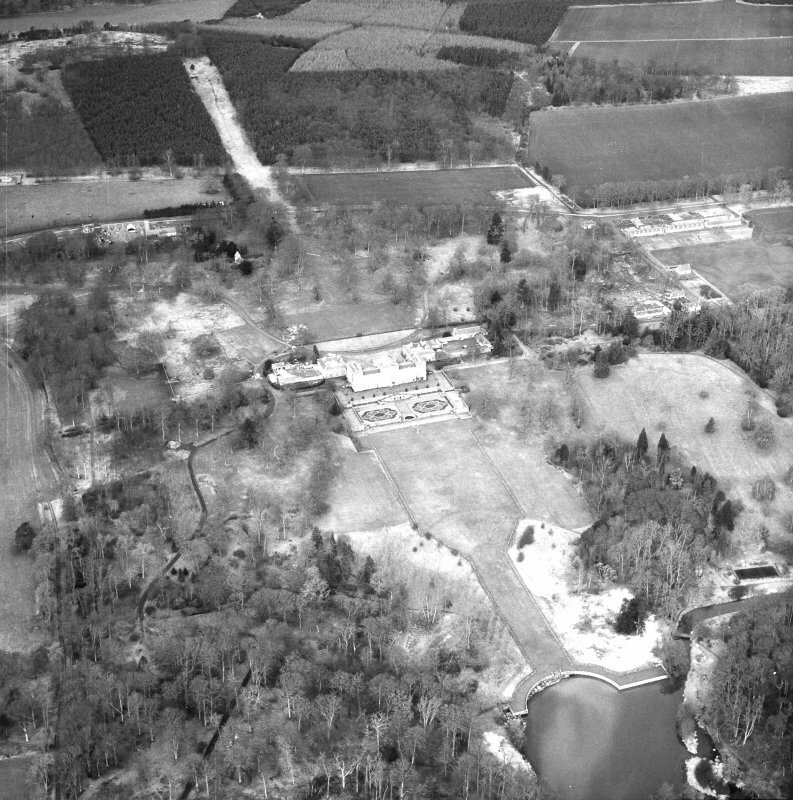 General oblique aerial view centred on the country house and policies, taken from the S.
Oblique aerial view centred on the drained formal pond within Mellerstain House garden with country house and stables adjacent, taken from the SE. 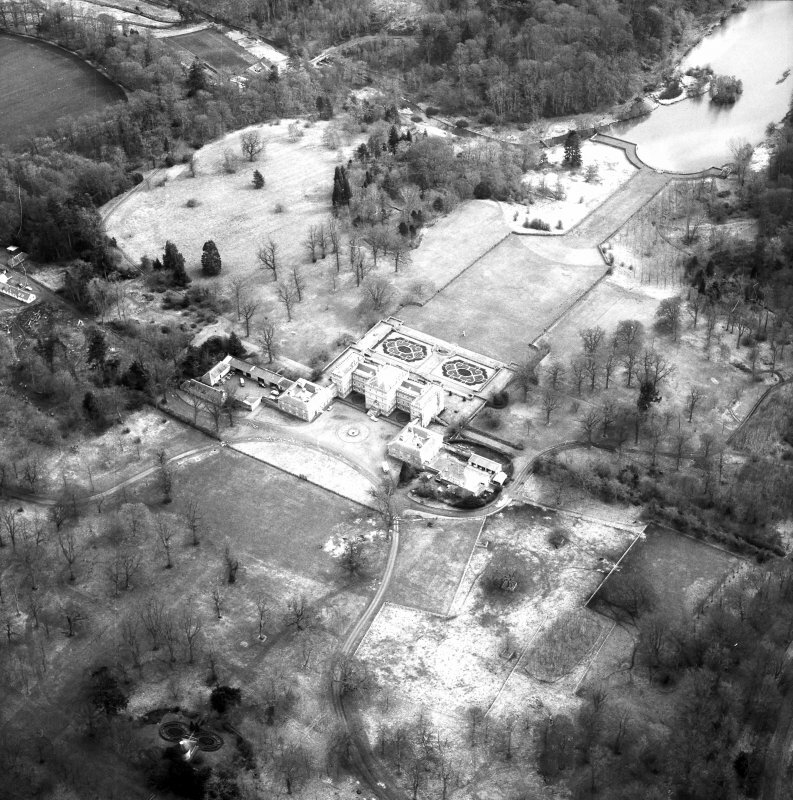 General oblique aerial view of Mellerstain House and policies, taken from the SE. 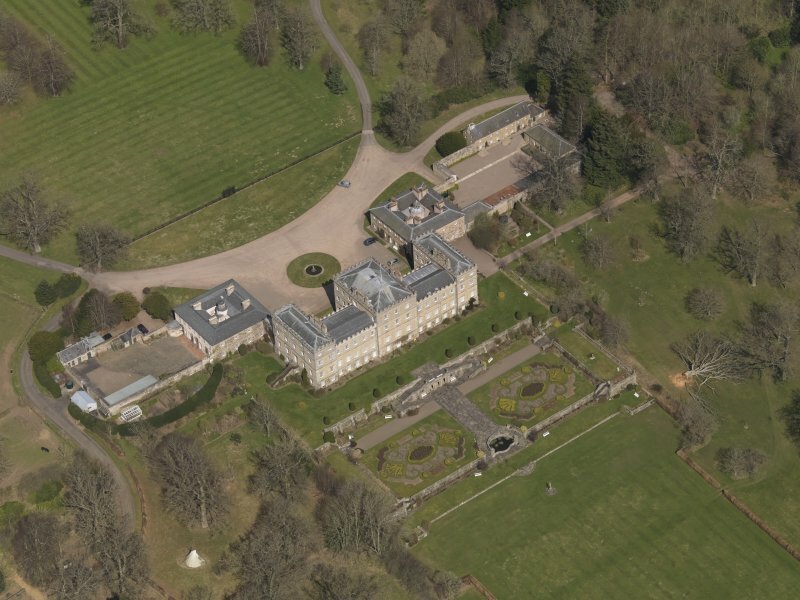 Oblique aerial view centred on the country house with the stable block adjacent, taken from the N.
Oblique aerial view centred on the country house with the stable block adjacent, taken from the SE. 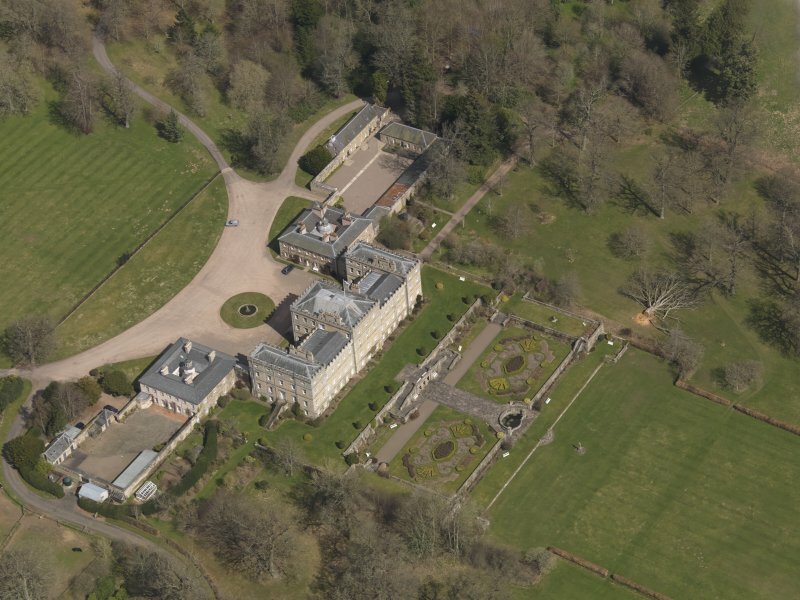 Oblique aerial view centred on the country house with the stable block adjacent, taken from the NNE. 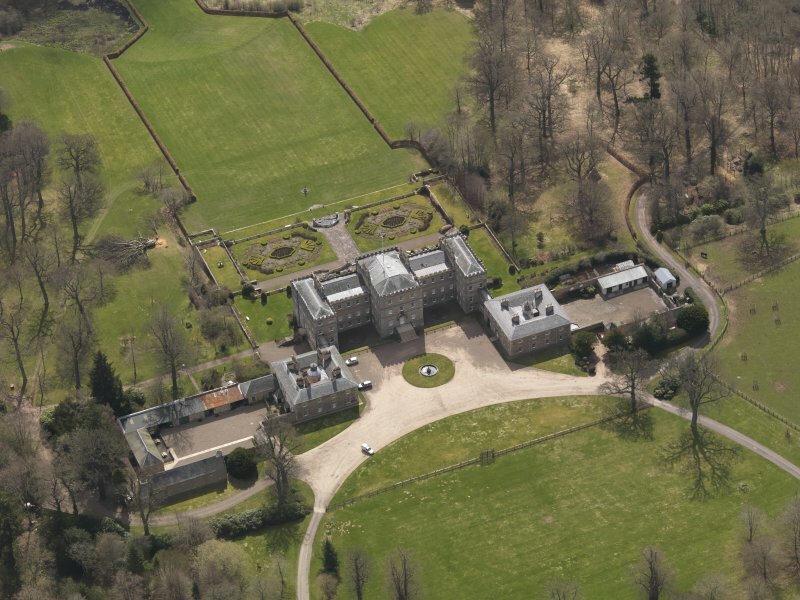 Oblique aerial view centred on Mellerstain House, the Scottish Borders, with the stable block adjacent, taken from the SSE. 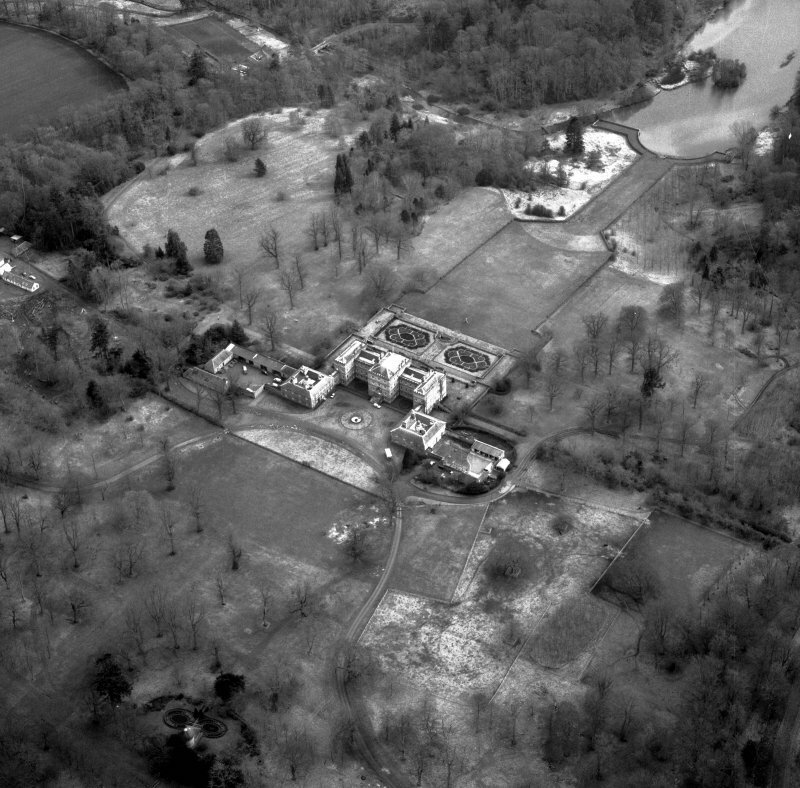 General oblique aerial view of Mellerstain House and policies, taken from the ESE. 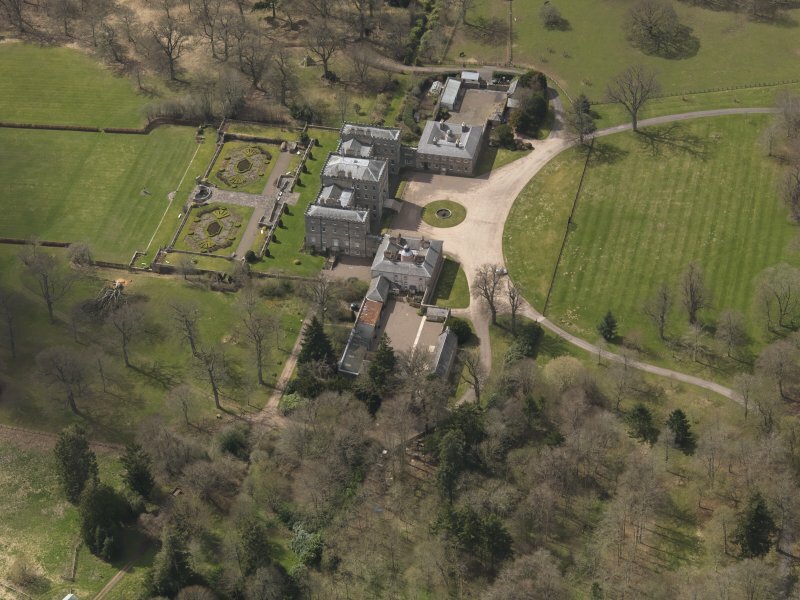 The lands of Mellerstain were granted by King Charles I to an Edinburgh burgess, George Baillie of Jerviswood, in 1642. 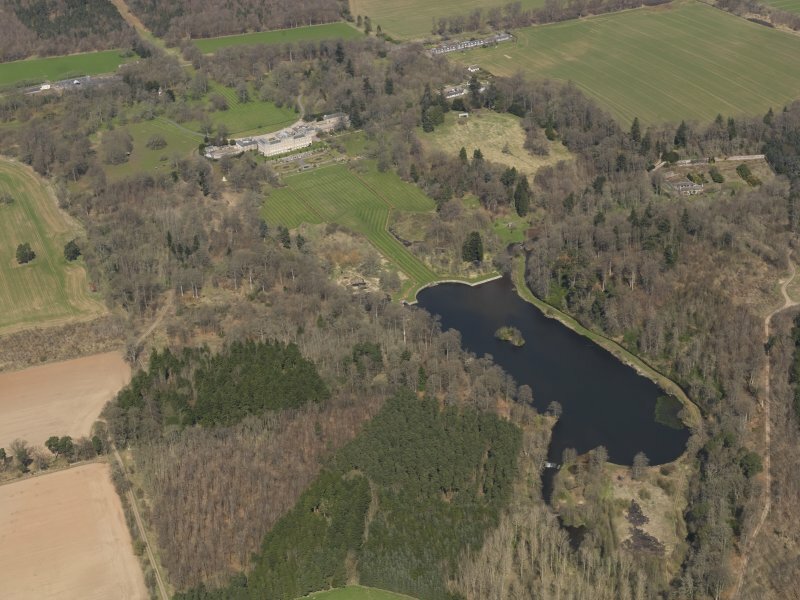 It was his grandson, also named George Baillie, who commissioned the architect William Adam to design and build the existing house. 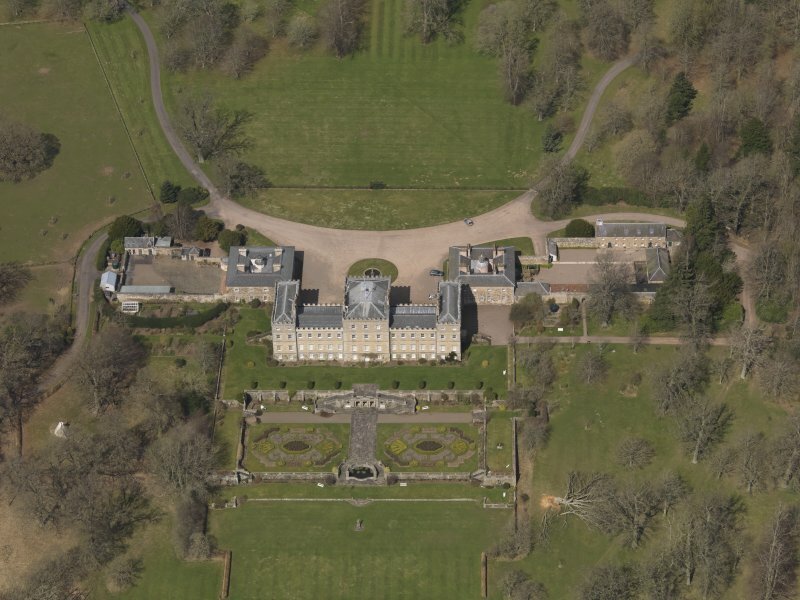 Work began in 1725, but by the time George Baillie died in 1738, only the two wings had been completed. 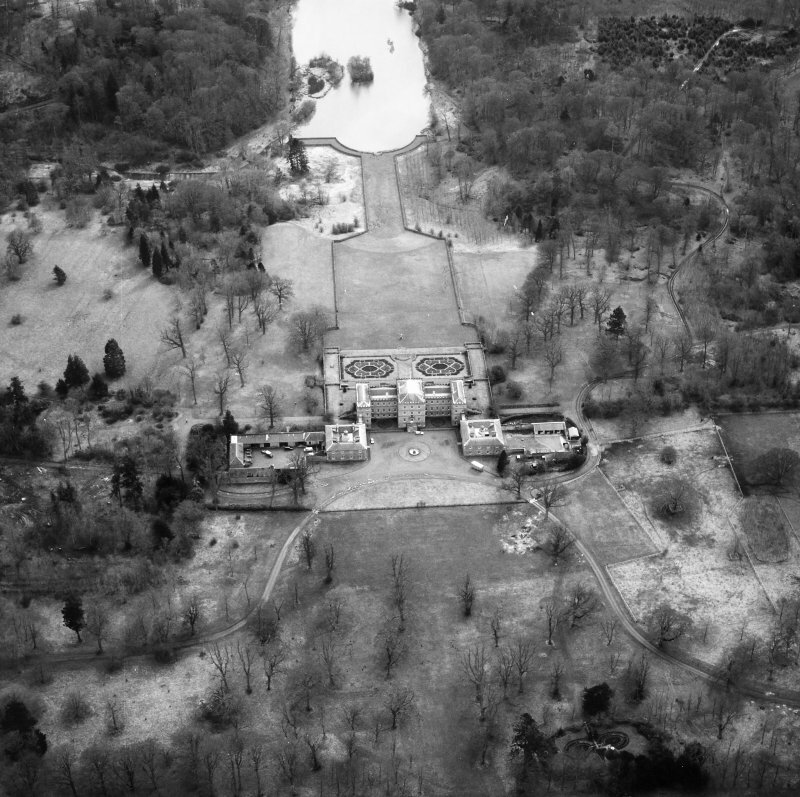 The central portion of the house remained unbuilt. 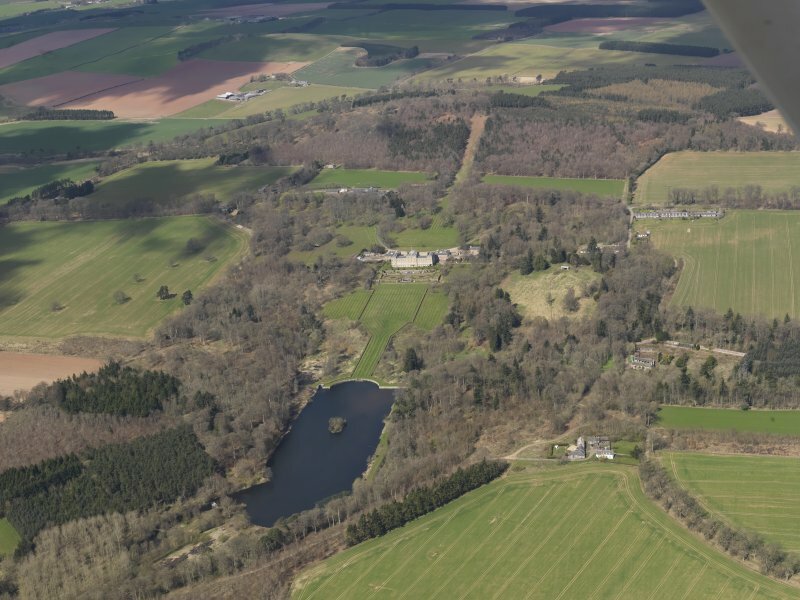 The estate passed to George Baillie's grandson, George Hamilton, second son of the Earl of Haddington, who changed his name to Baillie when he inherited Mellerstain. 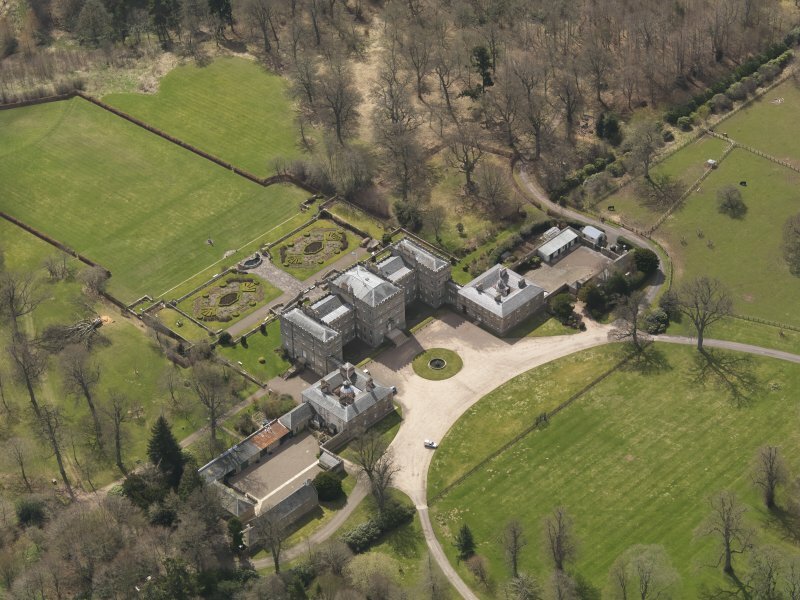 He commissioned William Adam's famous son, Robert, to complete the building of Mellerstain, which he did between 1770 and 1778. Surviving drawings suggest that Robert Adam intended to modify the wings designed by his father, but this work was never carried out. 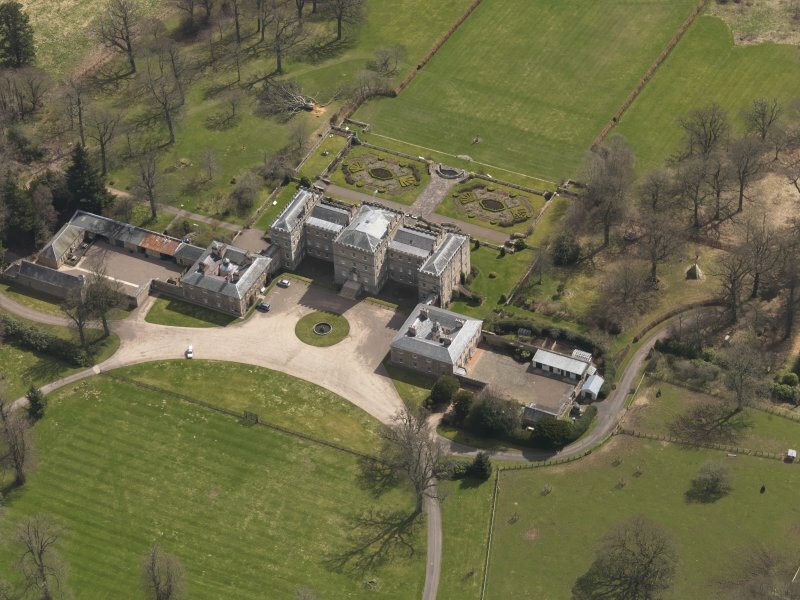 The exterior was slightly altered at a later date, when the main entrance was rebuilt in the style of the William Adam wings. The interior boasts some of Robert Adam's finest work. The library is particularly outstanding, and the plaster ceiling in this room is one of his masterpieces. The interior also includes marble busts by Roubiliac, one of which represents Lady Grisel Baillie. 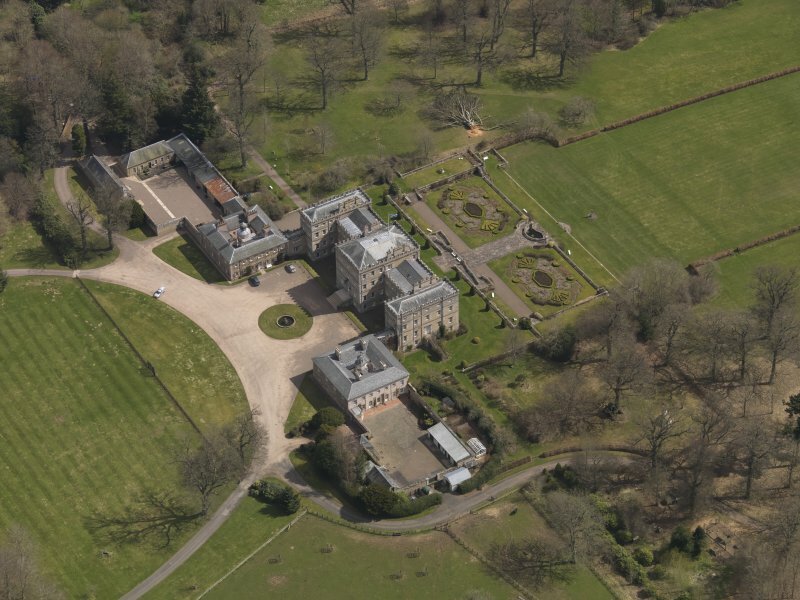 (NT 6475 3909) Mellerstain House was begun by George Baillie about 1725 with William Adam as architect, but two wings only were completed at that time. 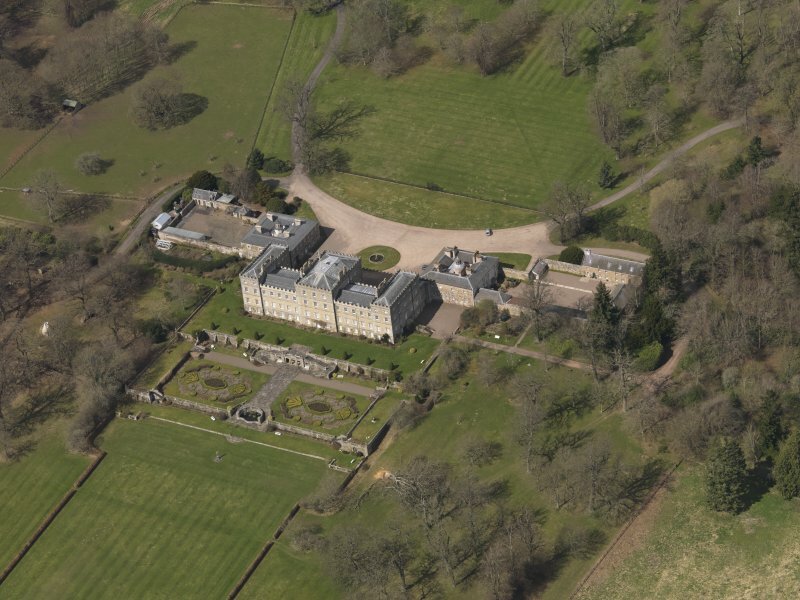 The main block was built about 40 years later, with Robert Adam as architect. (See plan, fig.17). Information from OS recorder (IF) 23 February 1979. 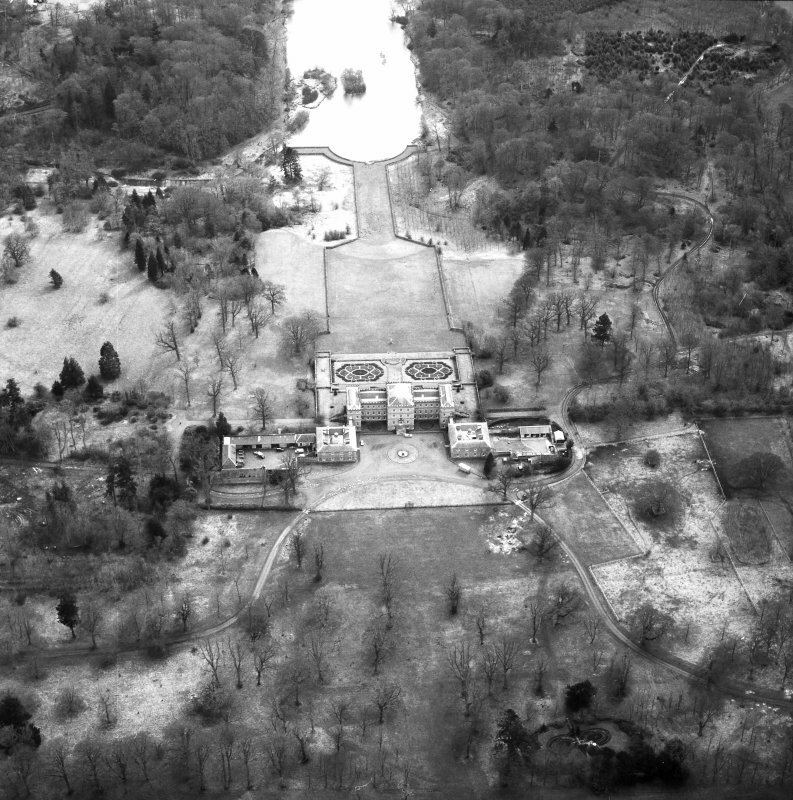 Photographed by CUCAP (air photographs: GT 41-4, JU 32-8). 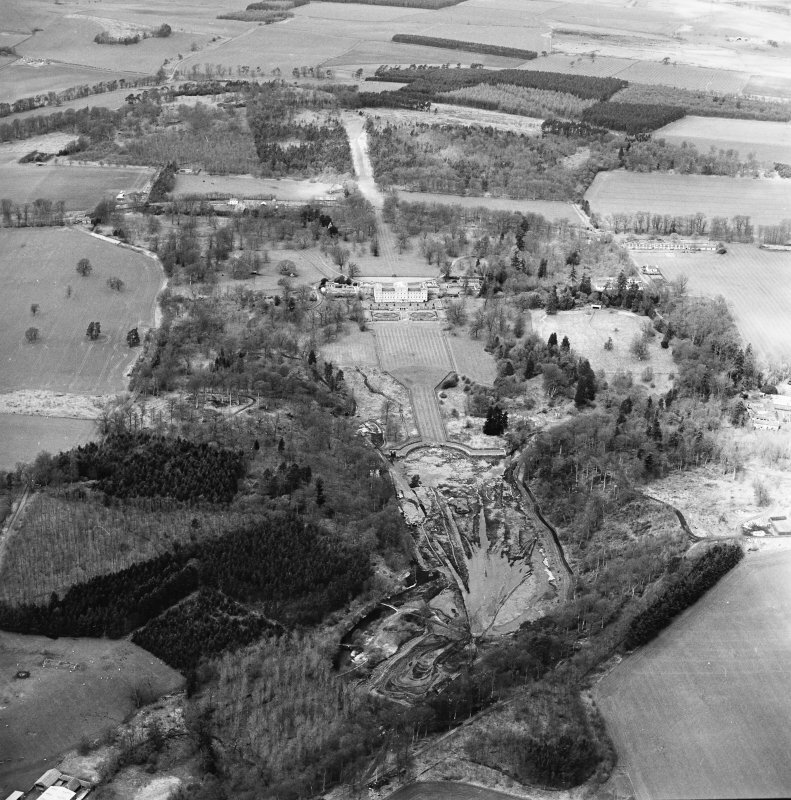 Mr Craw's plan for the Cascade at the bridge. 1748. Ink sketched and instructions. Raine, Four boys and flower pots. Verso - Plan of orchard. 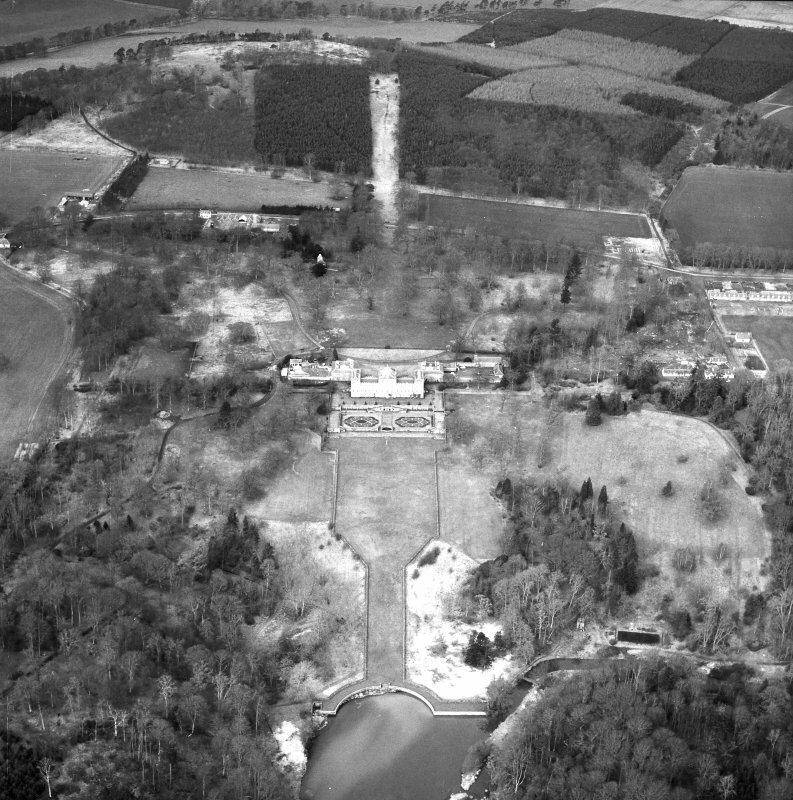 Estimate of a burial place in the Temple at Mellerstain. 2 May 1778. Memorandum payment to Mr Bonnar. Work done. August 1771 - May 1778. 16 Oct 1776. John Bonnar, painter his acct. 4 Dec 1777. Cash paid Mr Bonnar, painter £40. 'Mellerstain Letters', bound volumes in library cupboard at Mellerstain, Volume IX 1724-29. 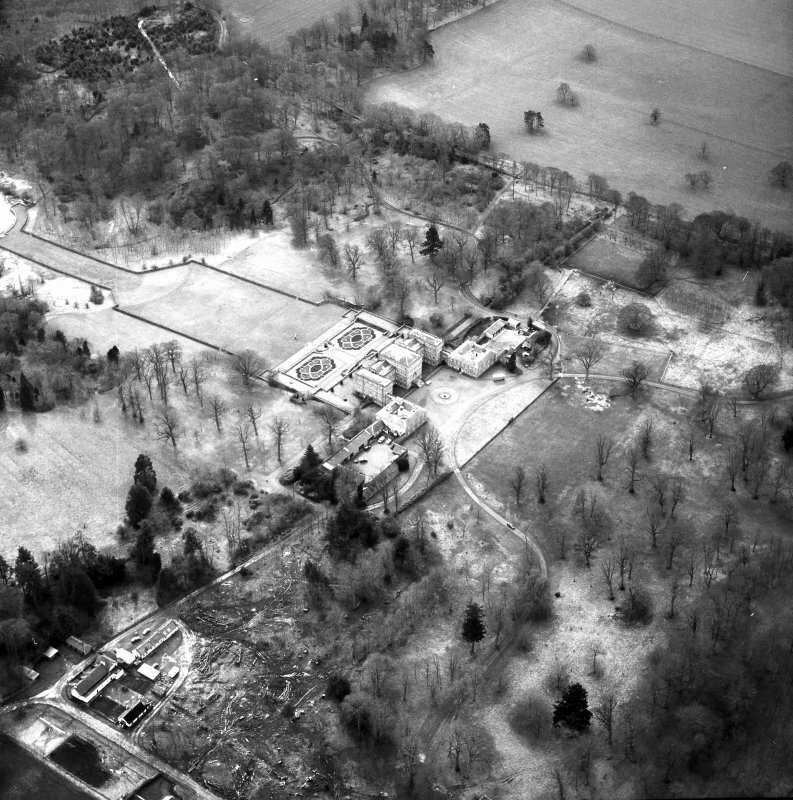 18 May 1725 from Wm Adam, sending George Baillie estimates for shell of house. as he has just done in a wooden model prepared for Lord Aberdeen. 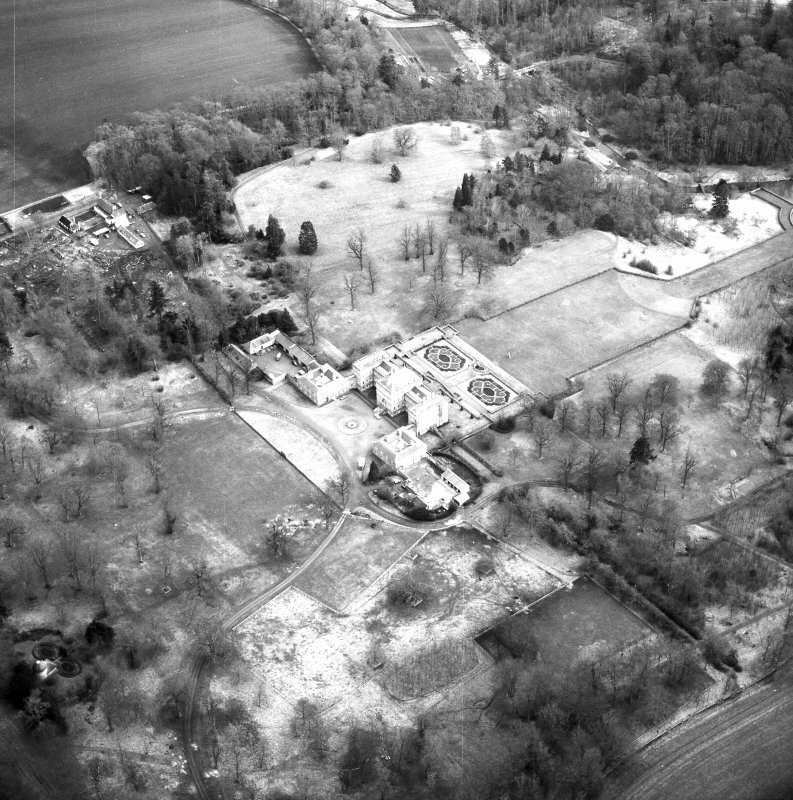 building the stables at Mellerstain. and would like the next lot to be different. 1737-8 Letters from James Runciman. The bridge requires a little addtional information. 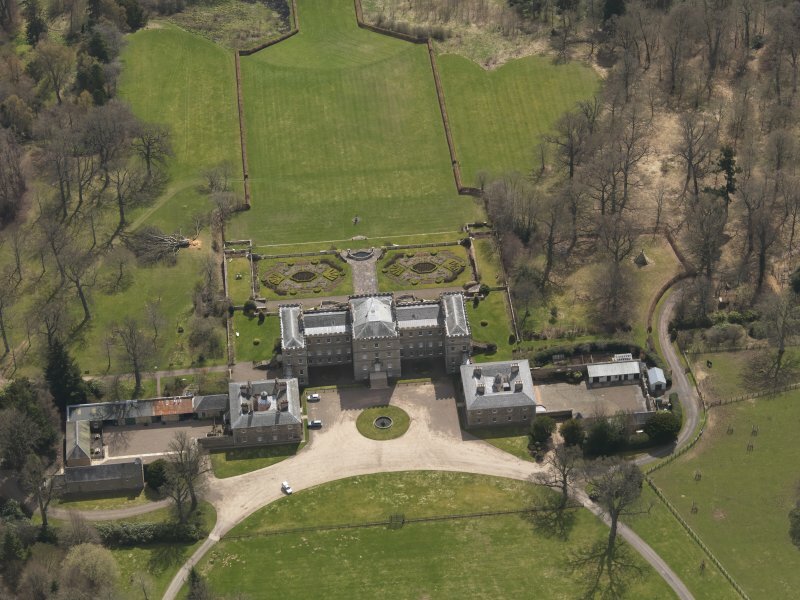 Mellerstain Muniments: Payments for work at Mellerstain 1776/7. Extracts in NMRS. 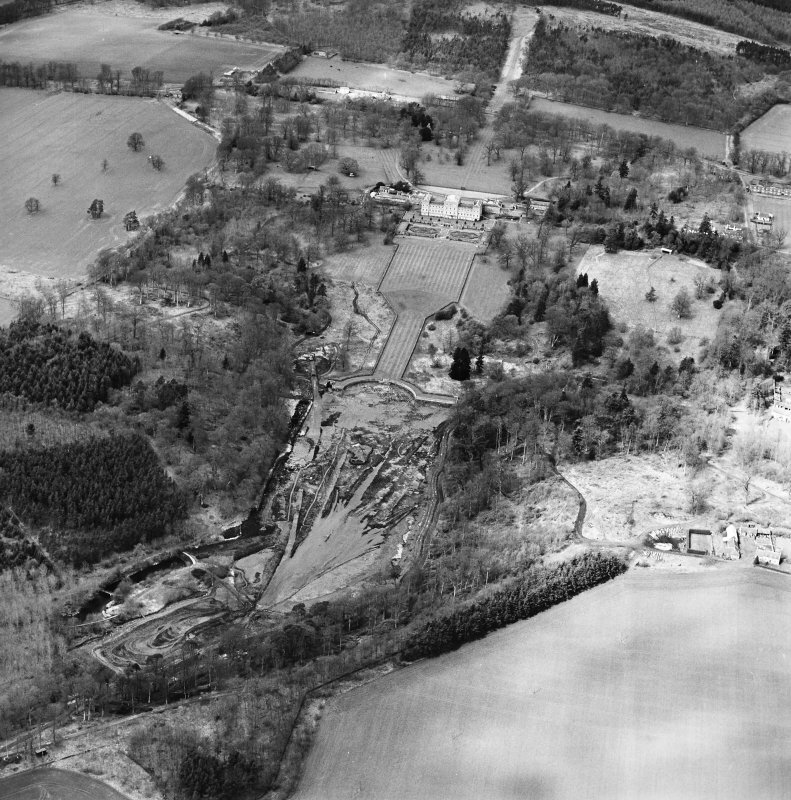 Photographic survey by the Scottish National Buildings Record/Ministry of Work in June 1961. 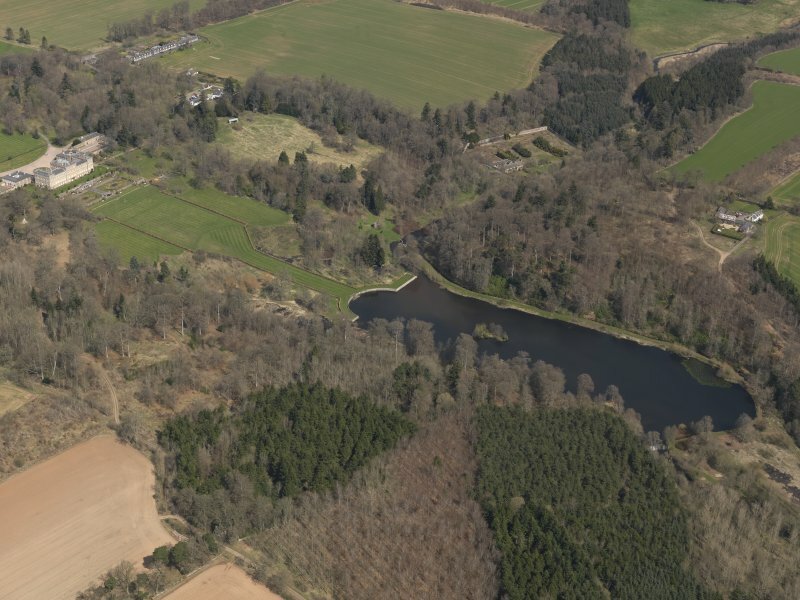 The estate ofMellerstain is mentioned as early as 1451-owned by the Haliburtons, later by the Haitlies. In 1642 it passed into the hands of the Baillies. 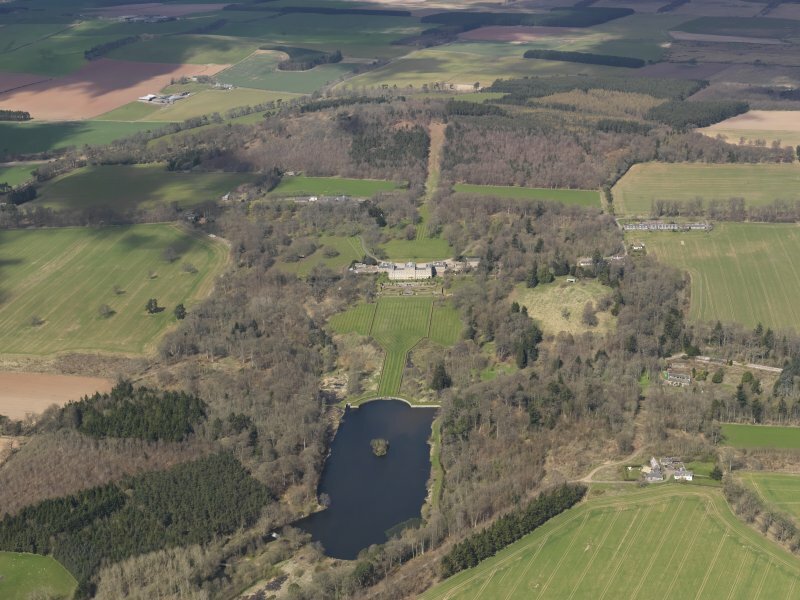 George Baillie of Jerviswood was the son of a wealthy Edinburgh merchant and though the estates were forfeited in 1684 on account of the Covenanting zeal of his son Robert, they were restored in 1691. 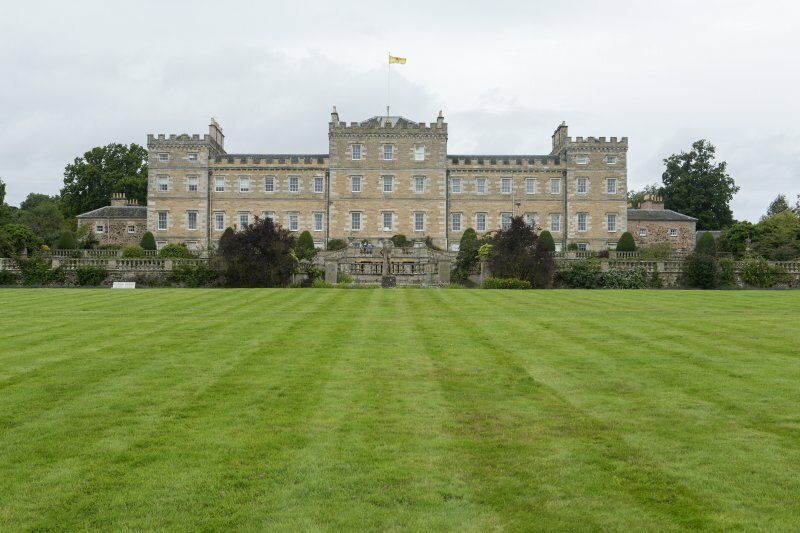 Robert's son George married Grizell Hume, renowned for her 'Household Book' in which, as mistress and manager of the household, she recorded what has survived as a unique social document of the time. 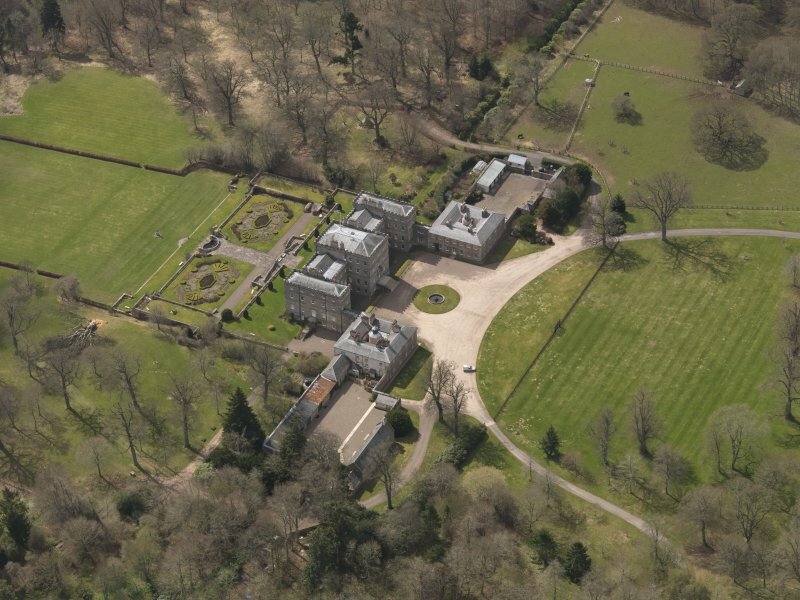 They began the rebuilding ofMellerstain in 1725 to replace "ane old melancholick hous that had had great buildings about it" in 1639, and the two wings were completed to the design ofWilliam Adam. The present house is largely the creation of the next George Baillie. After his Grand Tour of Europe in 1740-44, he returned fired with enthusiasm for truly classical dimension to Mellerstain, and in addition to commissioning Robert Adam he seems to have worked on many of the plans himself. 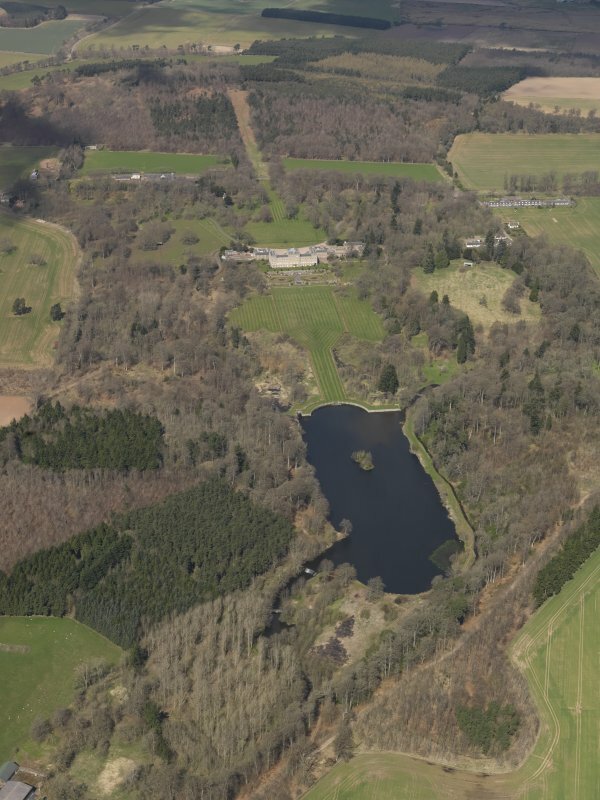 The house exhibits a strong central projection to the north; it is contrastingly flat to the south where it overlooks the Italian-style terraced gardens laid out in 1909 by Sir Reginald Blomfield. 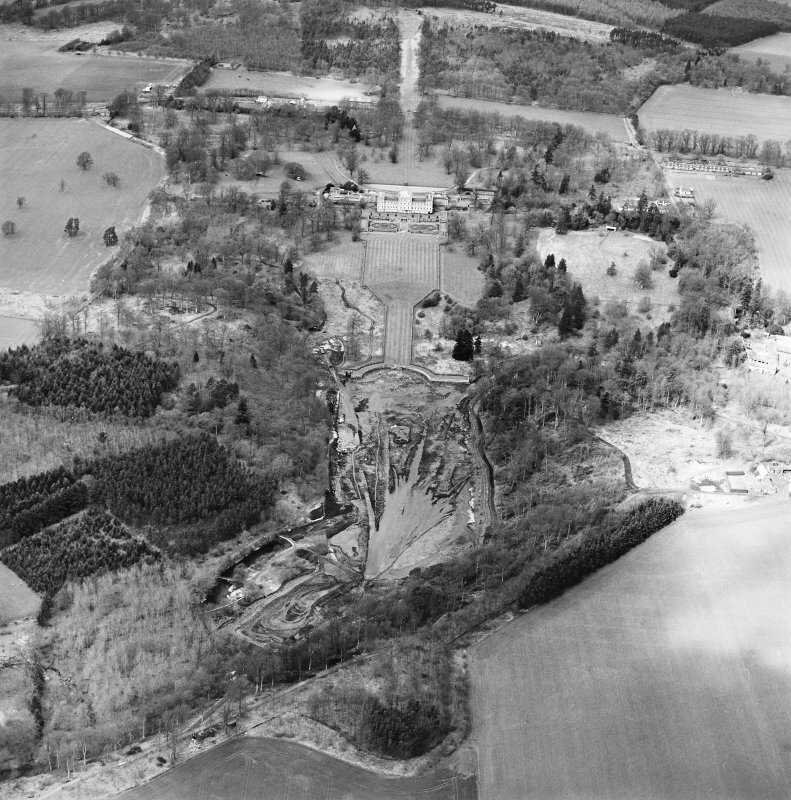 It is one of the earlier 'Adam castles' seen by some as "rather lifeless and box-like". If Hopetoun's interiors (no. 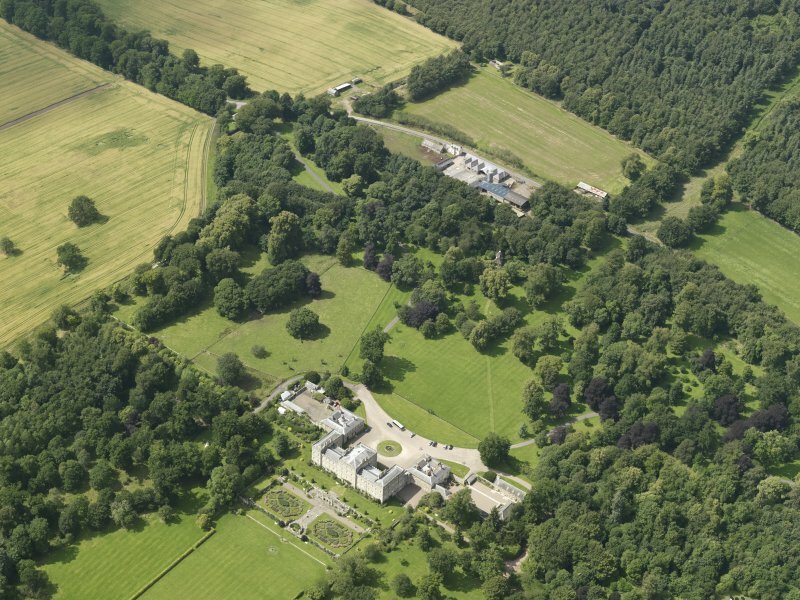 30) are amongst the most palatial and ornate of 18th century Scotland, those at Mellerstain are perhaps the most beautiful and refined-with particularly attractive ceilings and friezes in the library, music room and drawing room. The latter, decorated with griffins and vases, is dated 1778 and must be one of the last completed; the first, dated 1770, incorporates a circular oil-painting of Minerva, flanked by representations of 'Teaching' and 'Learning'. Preserved in the original colours they could be mistaken for pieces of Wedge wood porcelain! The ceiling in the Great Gallery, by contrast, was never completed-though the architect's drawings of 1775 along with the end colonnades, friezes, tracery and (plain) barrel roof give an idea at least of what might have been. 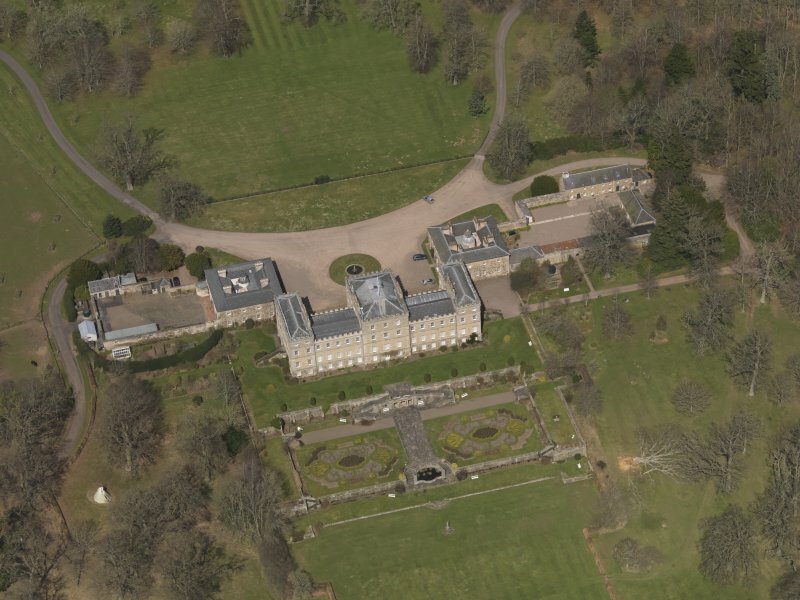 In 1717 the Baillies were linked in marriage to the Earls of Haddington. 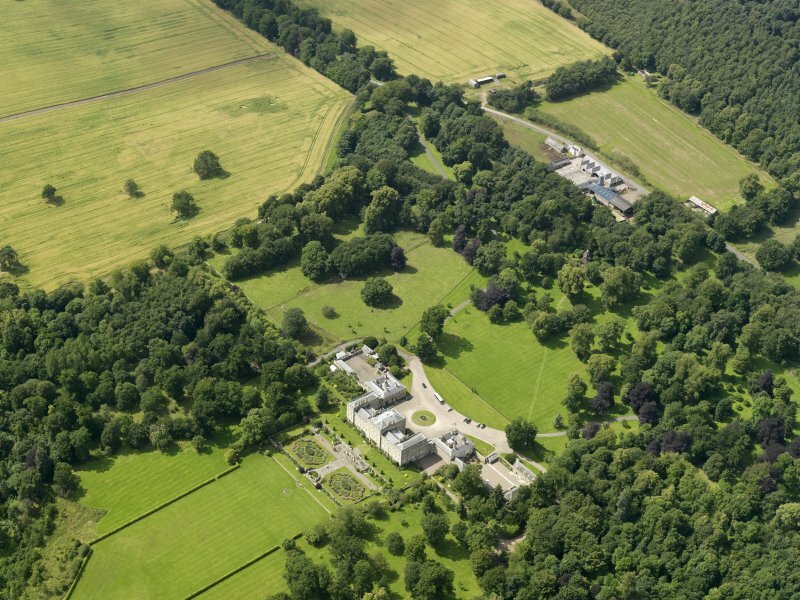 The etates remain linked and Mellerstain has become the residence of the heir to the earldom.